Home > time to Halong Bay > When is it better to be in Halong Bay? 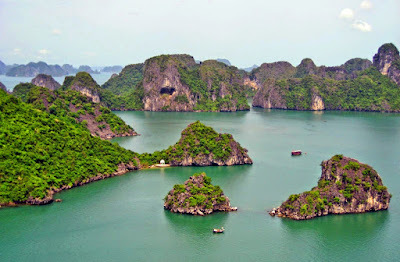 Halong Bay is part of the Northern Gulf - where the weather has four distinct seasons, the most notable seasons are: Winter (from last November to next March), the weather is very cold and summer (from April to October), the weather by contrast is very hot. So when should you go to Halong Bay? The answer must make you surprised. Thanks to the clear division of the weather so Ha Long attracts tourists from everywhere all the time in a year. If guests are Vietnamese, they love to come in summer (from April to October). And winter is the season to attract foreign tourists. 1. 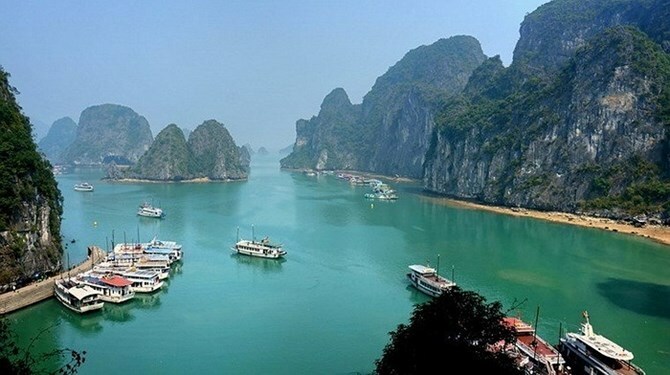 The weekends of June and July are the peak days, the number of tourists to Ha Long is very high, so some visitors will feel discomfort and services prices are usually higher than normal. 2. At the same time, as the rule of nature, in June and July there are a lot of hurricanes hit the Gulf of Tonkin and Halong, so be careful when you go to Halong Bay in June - July. It is advisable to go to Halong from March to May or go a bit later from August to October. European tourists usually come to Vietnam in the winter from December to April when the weather is around 10-20 degrees Celsius because they have more vacation this time. In fact, the most appropriate weather to visit is in April, May or September, October, because of the longer the day, blue sky, balmy weather. Visitors can do many activities on beaches as well as on the cruises. Weather is an important factor not only for a perfect holiday, a good tour, but also for going out to sea or sleeping on the bay. Many vistors still feel regret because the program visit is quite short. Therefore if it's affordable, set a longer program to to to further places and fewer visitors. If you travel with your family, colleagues or friends, it must be the best to rent a yacht. 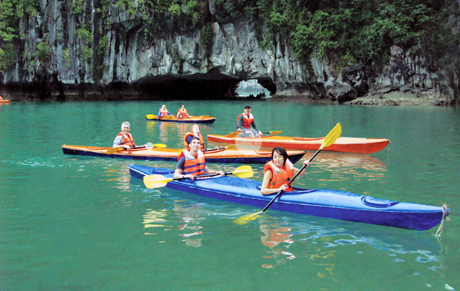 You will join in many exciting activities such as team-building, kayaking performance, swimming, cooking contest, floating villages visiting, cave seeing, ect. If you want to have an unforgettable memory to life, put the party in a cave, on a floating raft and you will never feel regret about this choice. In order to do that, it's really a matter for you to choose a prestigious cruise that help you with the highest quality. 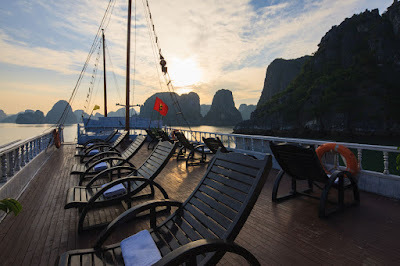 Your task now is just about reading more information of cruises in Halong Bay that we provided to make your dream comes true. Hope you have a nice trip!